New vehicle pricing includes all offers and incentives. Tax, Title and Tags not included in vehicle prices shown and must be paid by the purchaser. While great effort is made to ensure the accuracy of the information on this site, errors do occur so please verify information with a customer service rep. This is easily done by calling us at (716) 632-2440 or by visiting us at the dealership. 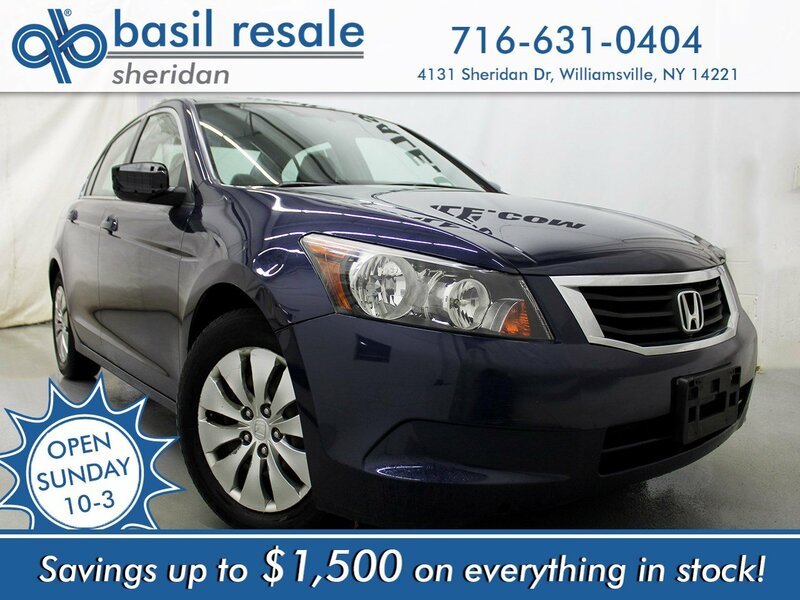 2009 Honda Accord 4D Sedan LX 2.4 ### OPEN SUNDAY ###, 1 OWNER CARFAX, FREE OIL CHANGES FOR LIFE, AUTOMATIC TRANSMISSION, FRONT WHEEL DRIVE, Ivory Cloth. Blue 2.4L I4 DOHC i-VTEC 16V 6 Month/6000 Mile Power Train Warranty Available On Most Vehicles. As a VIP customer you can take advantage of our Direct to Manager and Vehicle Pull Around programs both put in place to provide the highest standard of customer service! 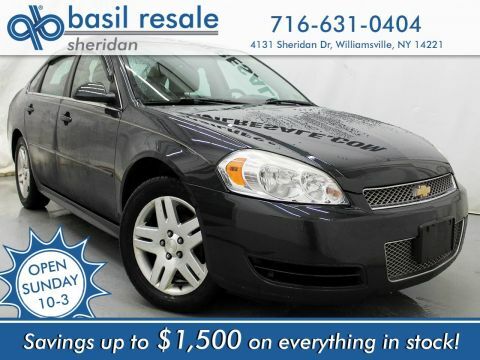 If you think this is the vehicle for you call our Customer Care Department at 716-210-3360 to schedule your visit today! We cannot guarantee a second set of keys, remote, navigation CD, owner's manual or headphones, however we can order these upon request. We cannot guarantee a second set of keys, remote, navigation CD, owner’s manual or headphones, however we can order these upon request. Basil Resale Transit wants to make your buying and ownership experience as simple and enjoyable as possible. Search our used car inventory online, get used car pricing, and receive free no obligation price quotes. 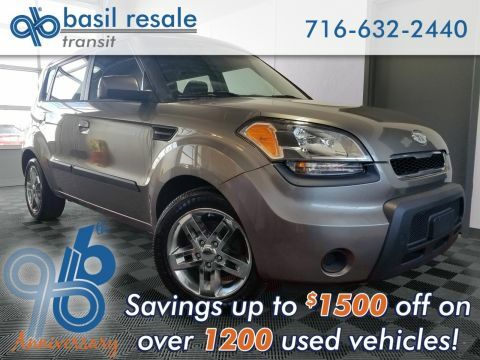 Save time and money buying a car through our Basil Resale Transit online dealership. Basil Resale Transit	42.9543091, -78.6973504.